Cats are admired around the world for their stealth, prowess and in the case of domestic cats, their companionship. Whether you like it or not, cats have evaded our outdoor environment and research reveals that the impact is great. As of July 2018, The Victorian government has declared feral cats as an established pest animal, although there remains the debate on what exactly should be done about this? How is a feral cat different to a stray cat? A feral cat is the same species as domestic cats, however, they don’t rely on humans. Instead, they obtain food and shelter from the natural environment. The key difference is that stray cats have previously been a pet or have before relied on humans for their survival needs. Usually, a stray cat can be rehabilitated into being a pet whereas ferals cannot. A feral cat lives, hunts and reproduces in the wild. Their acute senses and stalking coordination have allowed feral cats to adapt to Australia’s harsh conditions and take down prey matching their own body size. An average Australian feral cat weights about 3 – 4 kg and is usually 40 to 60cms long. They are usually shorthaired and abundantly have a ginger or tabby coat colour. They are commonly found in forests, woodlands, grasslands, wetlands and arid areas. Although nobody knows for sure, it’s predicted that cats first arrived in Australia as pets of European settlers in the 18th century. Years following saw cats being deliberately introduced as a way to control rabbits and rodents, this due to the fact they carry many diseases and also prey on rodents. The once pest solution has now become a pest itself. It is often difficult to accurately estimate the number of feral cats in Australia. As the factors of rainfall, food availability and presence of predators play a key role in their density. On that note, it can be estimated each feral cat kills from 5 to 30 small animals per day. Australia has the worst mammal extinction rate in the world, with 30 species gone since European settlement. Feral cats are a major reason for this. Furthermore, it is estimated that the feral cat population is killing millions of small Australian animals a day. Recent studies have revealed that the feral cat has threatened the survival of over 100 native species in Australia. They have also caused the extinction of some ground-dwelling birds and endangered iconic Australian animals such as the bilby, bandicoot and the numbat. As previously mentioned feral cats carry various infectious diseases, which not only can be transmitted to animals but also domestic livestock and humans. It’s clear that feral cats have become a major pest in Australia and are specifically endangering so many of our iconic Australia animals. Although there still remains the question of what is the best method to decrease the feral cat population in Australia or more specifically the devastation they bring to our ecosystem. Currently shooting and trapping feral cats is commonly used and poison baiting is the most effective method for over larger areas. Fencing is also a solution to exclude cats, which is the only real way to protect our vulnerable mammals. These cat free areas in Australia have already prevented the extinction of at least six mammal species. Sadly, there is currently no magical solution from saving mammals against feral cats. The best control method would be to continue to establish more feral predator-free areas and developing more effective baits. Further research to understand Australia’s feral cat population could hopefully reveal some key insights on what is the best way to go about pest-control. 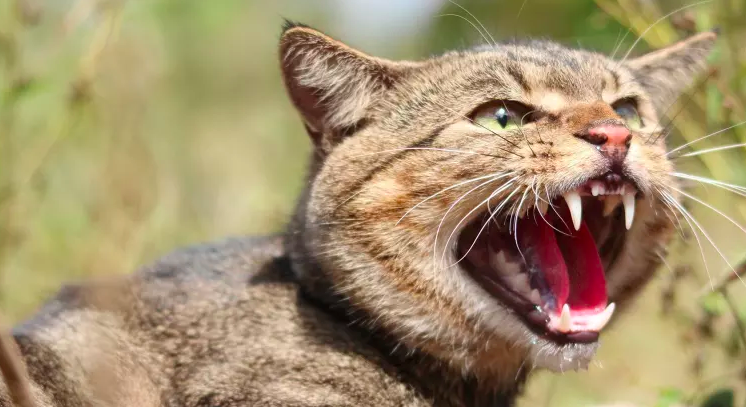 To learn more about the impacts of feral cats in Australia and the control methods that are currently in place, contact the team at Animal Pest Management Services today!